Nekkanti Sea Foods Limited (NSFL) is one of the largest exporter of seafood from India and has been in this business for over two decades. Nekkanti, from a humble beginning in the seafood industry, integrated backward by venturing into deep sea trawling and processing seafood. 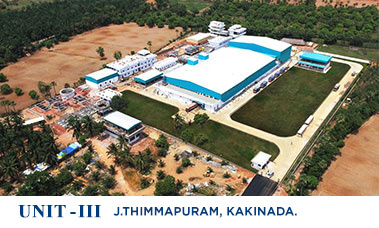 In 1985, Nekkanti started its operations by taking up a leased processing facility in Kakinada. 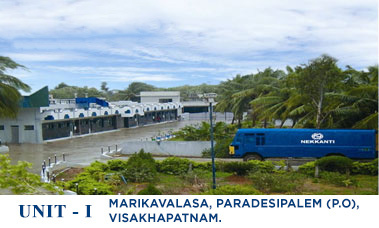 Later in 1989, NSFL setup its own processing facility in Visakhapatnam. Nekkanti has since then never looked back. In its strategy to diversify into new markets and augment its existing capacity, it has commissioned a modern State-of-the-Art processing plant, which is strategically located in the aquaculture heartland of India. 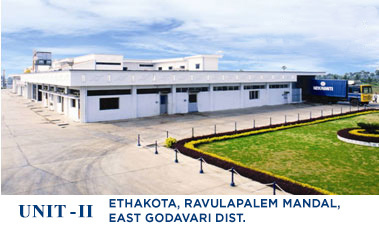 Currently, NSFL is operating 3 USFDA approved factories located in Andhra Pradesh, India. Nekkanti have been exporting substantial quantities of Fresh Water Shrimps in various product forms both raw, cooked and blanched, especially PD Tail-on & Off, Butterfly, Easy Peel, Head-on & Head Less in block and IQF packs to various markets for the last several years. NSFL is committed for constant supply of consistent quality product to the global market. Nekkanti Sea Foods Limited has well established purchase centers spread over all the coast of Andhra Pradesh situated from Srikakulam, Palasa, fishing villages around Visakhapatnam, Tuni, Kakinada, Amalapuram, Bhimavaram, Narasapuram, Machilipatnam, Repalle, Karlapalem, Ongole and Nellore. All these centers have well trained supervisors along with infrastructure facilities like cold stores, ice plants, etc. Nekkanti has a fleet of insulated trucks and refrigerated vehicles to transport the raw material from various purchase centers to their own factories without any waste of time to retain the freshness and quality of the product. The finished product is normally transported in reefer containers either to Visakhapatnam Port or to Chennai Port depending upon the vessel schedule. 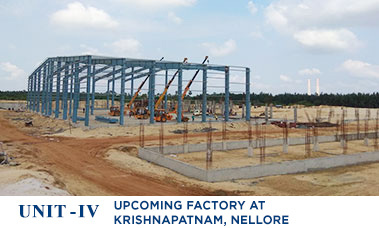 Raw material procurement and handling alongwith logistics are the key factors in this industry and Nekkanti is fully geared up to take the advantage of its experience. © 2019 Nekkanti Seafoods. All Rights Reserved.